Modern Art transcends the limitations of the roman clef and maintains a steady hold on the reader’s attention. [Toynton’s] prose is sharp . . . and even elegant — an increasingly rare phenomenon. One reason Modern Art works as well as it does is that Toynton manages to keep the action moving along at an admirably brisk pace. Belle Prokoff is the last of a famous generation of painters for whom art was a secular religion—worth any amount of struggle and sacrifice for its promise of redemption. She is also the widow of Clay Madden, who revolutionized American art, became a near-mythic figure, and died in a drunken car crash. 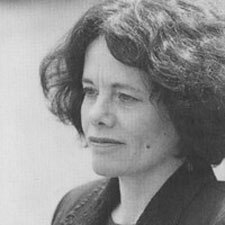 Blunt, fierce, and scornful of the world’s hypocrisy, Belle has passionately protected her husband’s memory in the three decades since his death. She has also persevered with her painting while the fashionable art scene fawns over her, not for her own work but for the valuable Madden canvases she clings to as the last relic of her tormented marriage. Now, facing the prospect of her impending death, Belle is confronted with another kind of threat: An unscrupulous biographer is snooping around in her past, working on a sensational book about Madden’s life. Before her battle to silence him spirals out of control, she is forced to make her peace with the people and events that have haunted her for decades. But Modern Art is not just Belle’s story. It is the story of all those still living in Madden’s shadow, from his flamboyant ex-dealer to a paranoid drug addict who sees himself as Madden’s spiritual son. It is the story of Paul, a younger painter aspiring to Madden’s greatness but obsessed with the art world’s neglect. And it is the story of Lizzie, a naïve romantic who has made Paul the center of her existence—a mistake Belle recognizes all too well when she hires Lizzie as her live-in companion. Inspired by the lives of Jackson Pollock and Lee Krasner, this elegiac, impassioned novel creates a fictional universe full of vivid characters and intense confrontations. It is a tale of betrayal and longing, renunciation and self-discovery: the age-old conflicts of love and art. Evelyn Toynton’s work has appeared in Harper’s, the Atlantic Monthly, Prospect(UK), the TLS, The New York Times Book Review, and other publications. 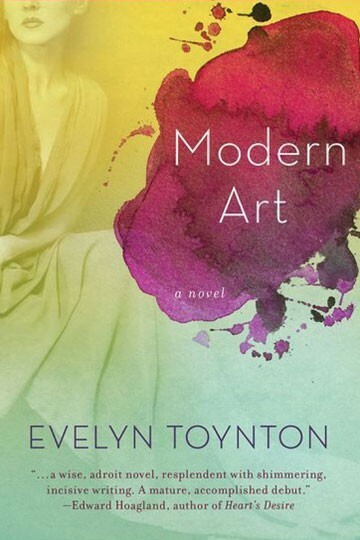 Modern Art was a New York Times Notable Book of the Year, and her novel The Oriental Wife (2011) has been optioned by Magnus Films for a feature film. Her biography of Jackson Pollock (2012) was published by Yale University Press as part of its Icons of America series. She lives in Norfolk, England.